An elegant gothic style blazer jacket. Unique stylish collar. 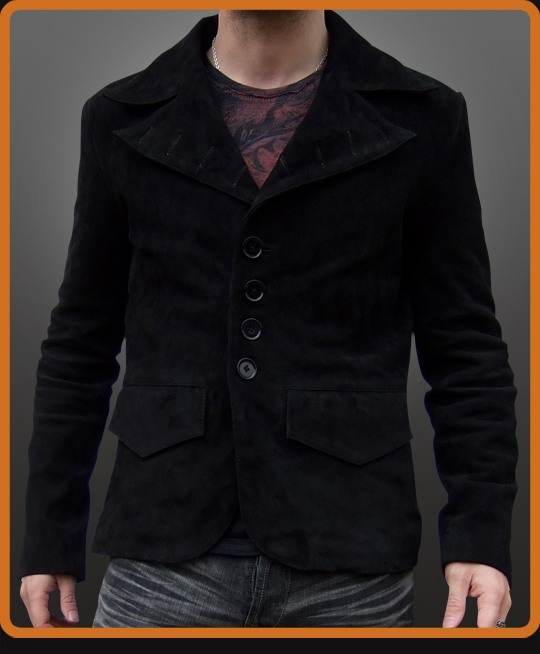 Slim fitting jacket in black suede. Maroon lining. Available in Black Suede.